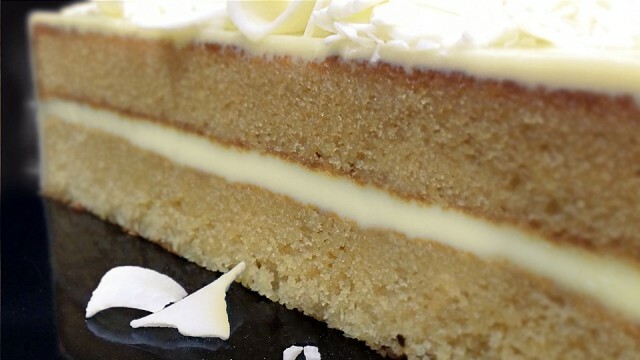 A moist and rich white chocolate mud cake aerated with baking powder and soda bicarbonate. A very milky and dense mud cake which contains a lot of chocolate. It’s a perfect choice for many reasons. It’s a very easy and strait forward mixing method which makes it possible for very large batches without worrying about loosing aeration. As the finished product keeps its firm condition for a long time in room temperature, this allows wedding cakes to be served at late hours of the evening and also allows perfect clean portioning. Tastes great when layered with white chocolate ganache. The weights in the recipe table below will yield the following 'weight per unit' and 'number of units'. If you would like to change the recipe to cater to a different 'weight per unit' and/or 'number of units', you can use the Recipe Calculator Tool below the ingredients table. 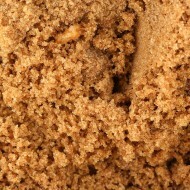 C 270	 9.5 ounces Brown Sugar Brown sugar is a sucrose sugar product with a distinctive brown color due to the presence of molasses. 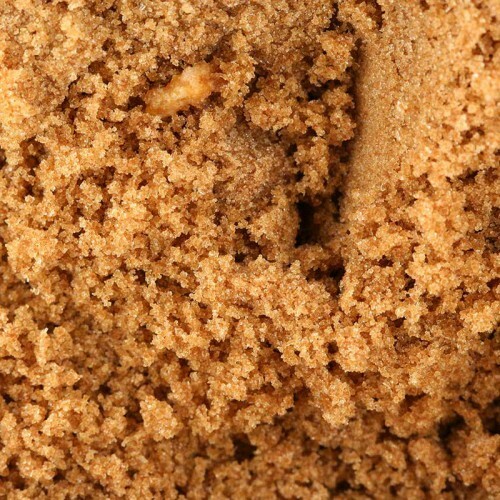 It is either an unrefined or partially refined soft sugar consisting of sugar crystals with some residual molasses content (natural brown sugar), or it is produced by the addition of molasses to refined white sugar (commercial brown sugar). 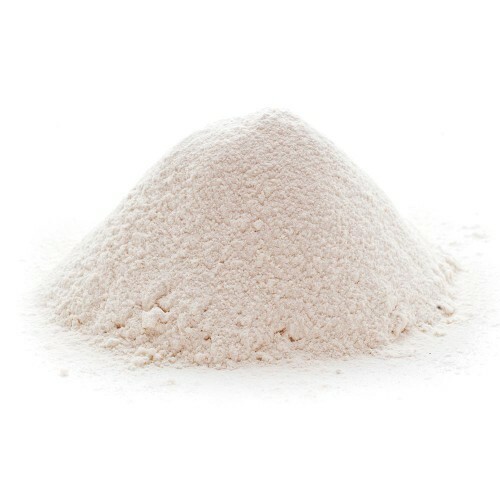 E 100	 3.5 ounces Cake Flour Cake flour is a finely milled white flour made from soft wheat. It has very low protein content, between 8% and 10%, making it suitable for soft-textured cakes and cookies. The higher protein content of other flours would make the cakes tough. Highly sifted cake flours may require different volume amounts in recipes than all-purpose flour. Using the scoop and level method, well-sifted flour usually produces 125 g per cup. However, most American recipes are written with 140 g of flour per cup, so weighing and experimentation can be helpful in baking unfamiliar recipes. 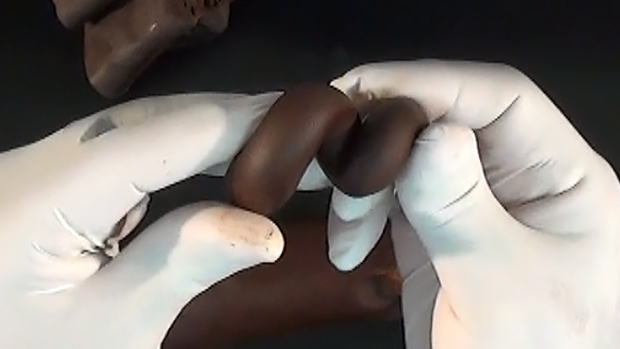 Small weight differences can greatly affect the texture. 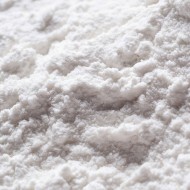 American Cake flour is bleached; in countries where bleached flour is prohibited, plain flour can be treated in a domestic microwave to improve the texture of the end product. F 185	 6.5 ounces Self-Raising Flour Self-rising or self-raising flour is white flour that is sold premixed with chemical leavening agents. Self-rising flour is typically composed of the following ratio: 1 cup (100 g) flour, 1 1⁄2 teaspoons (3 g) baking powder, a pinch to 1⁄2 teaspoon (1 g or less) salt. 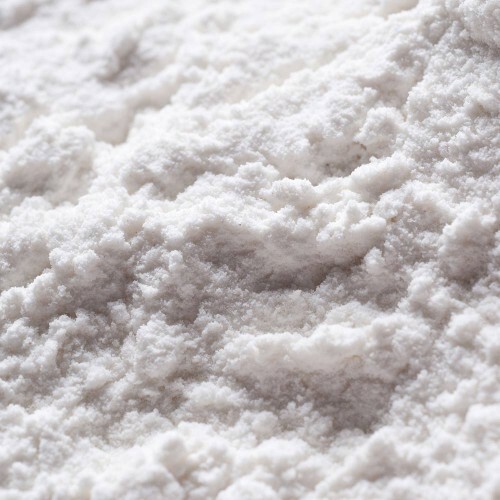 G 3	 0.6 teaspoon Sodium Bicarbonate Sodium bicarbonate (a.k.a baking soda, bread soda, cooking soda, and bicarbonate of soda), referred to as "baking soda", is primarily used in cooking (baking), as a leavening agent. 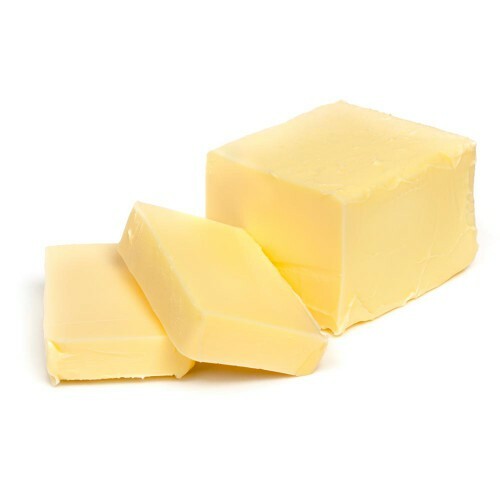 It reacts with acidic components in batters, releasing carbon dioxide, which causes expansion of the batter and forms the characteristic texture and grain in pancakes, cakes, quick breads, soda bread, and other baked and fried foods. 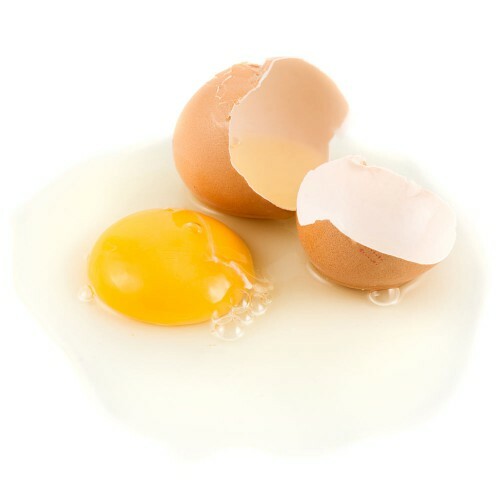 Acidic compounds that induce this reaction include phosphates, cream of tartar, lemon juice, yogurt, buttermilk, cocoa, vinegar, etc. Natural acids in sourdough can be leavened with the addition of small amounts as well. Sodium bicarbonate can be substituted for baking powder provided sufficient acid reagent is also added to the recipe. Many forms of baking powder contain sodium bicarbonate combined with calcium acid phosphate, sodium aluminium sulphate or cream of tartar. Sodium bicarbonate was sometimes used in cooking vegetables, to make them softer, although this has gone out of fashion, as most people now prefer firmer vegetables. However, it is still used in Asian and Latin American cuisine to tenderise meats. Baking soda may react with acids in food, including vitamin C (L-ascorbic acid). 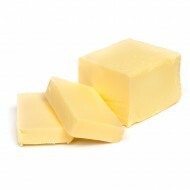 It is also used in breadings such as for fried foods to enhance crispness. Heat causes sodium bicarbonate to act as a raising agent by releasing carbon dioxide when used in baking. The carbon dioxide production starts at temperatures above 80 °C. Since the reaction does not occur at room temperature, mixtures (cake batter, etc.) can be allowed to stand without rising until they are heated in the oven. 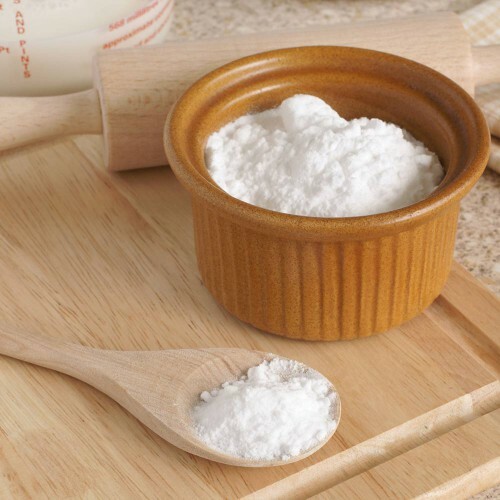 H 3	 0.6 teaspoon Baking Powder Baking powder is a dry chemical leavening agent, a mixture of a carbonate or bicarbonate and a weak acid, and is used for increasing the volume and lightening the texture of baked goods. Baking powder works by releasing carbon dioxide gas into a batter or dough through an acid-base reaction, causing bubbles in the wet mixture to expand and thus leavening the mixture. It is used instead of yeast for end-products where fermentation flavors would be undesirable or where the batter lacks the elastic structure to hold gas bubbles for more than a few minutes, or for convenience. Because carbon dioxide is released at a faster rate through the acid-base reaction than through fermentation, breads made by chemical leavening are called quick breads. I 260	 1.1 cups Milk Milk is a white liquid produced by the mammary glands of mammals. It is the primary source of nutrition for young mammals before they are able to digest other types of food. Milk is processed into a variety of dairy products such as cream, butter, yogurt, kefir, ice cream, and cheese. Modern industrial processes use milk to produce casein, whey protein, lactose, condensed milk, powdered milk, and many other food-additives and industrial products. Using this tool, you can alter this recipe for your own requirements. Use the two fields below to generate new weights for the ingredients above. The 'Custom Weight Per Unit' is already loaded with the weight per unit for this recipe but can be changed if required. If all you wish to do is change the number of units (or servings), just leave the current weight per unit. This is the number of units (or servings) you want this recipe to yield. The new weights for your adjusted recipe will be displayed in the table above. This recipe yields 3 x 250mm (diameter) cakes that are approximately 25 mm in height. We recommend baking lower cakes individually (25 mm height) and sandwiching them with chocolate ganache. 30 minutes baking time may differ for different ovens. Do a skewer check to see if it's baked. Store baked sponge in the fridge overnight and sandwich them with ganache the next day or other prepared butter creams. Baking chocolate will achieve a good tasty mud cake never the less, quality expensive couverture will make a signifecant difference in the taste rather than texture. Thank you for your dark and white mud cake recipes. These have become my go-to recipes for many celebration cakes and have never failed me. Yes, thanks. We have done these recipes literally thousands of kilos and never received complain. One quick question…what is cake flour? How can I make it as I cannot find in my country? Can you please suggest the quantities for the white chocolate mud cake please? Many thanks for you reply and your patience. Plain flour works for that. Cake flour has less gluten and used for short items like sponge and shortcrust or scotchfingers. This is the link for white mud cake. Hello Chef Yener. I have sent you two messages asking you about the reading of this mud cake that I want to make this Saturday for my husband’s 60th birthday party. Can you please give me this recipe in your measurement so that I may converted in USA measurements? I don’t understand what you mean when you say 11.1 ounces or 1.2 cups etc.. in the ingredients. Thank you. I have to say that the tutorials are amazing and I thank you. Ganache I have no problem with and have used your pastillage to wonderful effect. My question is this. Having tried both the dark chocolate and white chocolate mud cake recipes today … I had disasters! 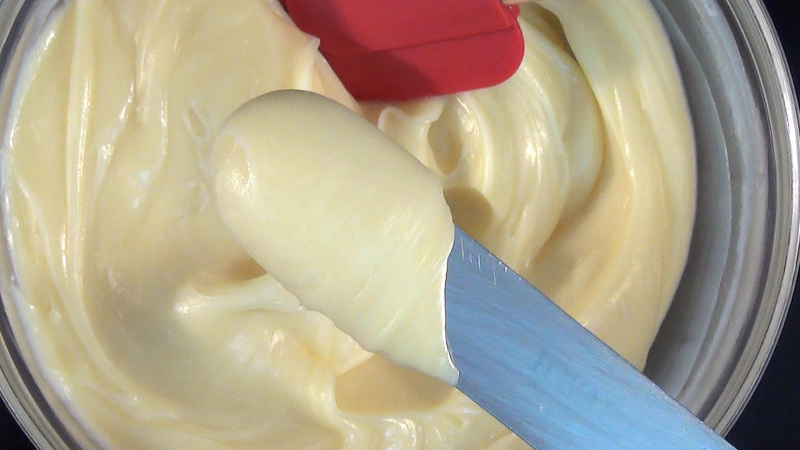 The white chocolate – beautiful silky mix, baked wonderfully then immediately sunk down. The dark chocolate…. that was as if a brownie consistency and rose to about 1 cm tall and was immensely crispy ??? Would using baking belts have caused this? Other recipes I use the belts on and they are wonderful, I never normally use butter …but did this time. Has the moisture in the baking belts caused my problems? Hi Beverley, you do not need the baking belt for these recipes. Please check your ingredients again and next time try to bake 180 C for 30 minutes and always skewer check before taking out from the oven. I will give it another try and let you know. Will you be at Cake International this year? First it all, thank you so much for sharing your knowledge with us. I made this recipe for the first time a couple of months ago and it turned out beautifully, very soft and moist. I kept the cake out of the fridge for the time it lasted and the texture and flavours were not compromised at all. However, I confidently tried the recipe again but this time I added some raspberries to the mixture to make a white chocolate and raspberries mud cake. I do not know what happened that after the following day the cake was dry, not moist at all, nice flavour but not appealing as it also turned a bit dark (I assume it was due to the raspberries). So I did the recipe twice, one with the brown sugar and the other one with the caster and got the same result. No idea what could have gone wrong. What only came across to my mind in order to understand what happened is the current weather in Melbourne which I assume it could have contributed to its dryness. I think is baking time is the matter. 180 c .Please check the center with a wood skewer . When just comes out dry it is baked any more time make the cake dryer. Hi Chef Yener, May I run a calculation by you? I want to make this recipe in 6 inch (150 mm) pans. My pan size is 60% of yours, so I need to put 60% of the weight you list (360 grams) in each to yield the same thickness per layer. So, I can bake 5 layers of the smaller size with the existing recipe. My question is the baking time for the smaller pan. Do you have a recommended baking time for the 150 mm pan size? Thank you. Thank you so much for all your help. Please could you tell me what i can add to this cake, in order to make caramel mud cake? I understand your question. Some of my recipes are confusing like, why additional this and that instead of that? Every recipe is a child of other recipe and needs to be disciplined. Sometimes just little addition or reduction will be a result of right texture or height. So there is no particular reason, just trial, and error and not bother to change again. I am finding this calculator very confusing to figure out . Hi. Im so sorry I still don’t understand. How do you figure out the litre of a cake. im just used to recipes that say that it makes a 8 inch round by 4 inch tall cake and would not know how many litres are in the different sized cakes. I was also wondering if you will able to make a tutorial on how you measure out and prepare tins, make cake and bake. I tried this recipe to your exact intructions and it did not work out. So it would be great to watch you so that I can figure out what maybe I did wrong. By the way , you are very talented and I have learnt a lot from all your courses and I cant wait to watch more. Hi Shannon, to know how many grams is a liter of a cake only possible with placing 10x10x10 cm cake on a scale before baking and after baking, take note once forever and use that amount for your calculations. Let me give you some numbers from my notes. They may not be exact with your cakes but will be close enough. Then you think about this before the bake. Consider the rising during baking SO AS A FINAL I WOULD SAY 1200g MIXTURE WILL BE ENOUGH. There is no chart available to give you the exact amount because every recipe is a bit different and also depending on the layers and what else you going to use inside. Good news is we are working on a new program will help you to calculate everything on screen but I dont know when is finished and published. Thank you Mr. Yener for your amazing website. 1- how much of this cake mix I need? 2- I will cover it with fondant to shape half of a soccer ball. could you please let me know how much ganache and fondant I will need for it? is one layer ganache enough for this purpose? Hi Chef Yener, Could I adapt this recipe into a red velvet cake by adding cocoa powder and red gel and deleting some flour? Thank you for all of your tutorials, you are an excellent instructor and greatly appreciated! Yes you can use in your mold. you need around 2.2 kg mix, either bake and cut into two layers or bake two times 1.1 kg mix which I would do . Thank you for your time. I made this cake yesterday and it was awesomely delicious. The cake sank from the middle. Do you know what i may have done wrong for this to happen? And also may i know, why do you use brown sugar instead of white sugar? Thank you for your prompt reply. I baked another cake. It sank again while on the cooling rack? Did i not bake it full or over mixed? But the inserted skewer came out clean and i didnt open the oven till the end. Hi, overmixing is not an issue. The only thing I can recommend reduce the heat and bake longer. Please check the recipe again. Chef Yener, I was wondering as I use a spounge cake mix (Commercial) if I could use the spounge cake mix and add the white chocolate. Thank you, I will try both way’s and see how it goes. I am hoping it will work as it is for about 100 people. Sorry, what wild 3/4 cup all-purpose flour be in grams to make self raising flour? Hi Chef Yener! I was just wondering if you use a convection oven to do all your baking? Dear Chef, I tried this recipe yesterday. It was so soft and spongy and I reduced the sugar. My parents (83 and 72) are diabetic and sisters don’t take too sweet a dessert. I baked as suggested but couldn’t wait so we tried one layer first. The other two layers, I frosted it with a thin coat of white chocolate ganache and sandwiched it with strawberry jam & white chocolate ganache. Family will be having it later this evening – its my sister’s birthday cake. Did I understand the recipe correctly, 3 gms of bicarbonate soda and 3 gms of baking powder? My parents are sensitive to bicarb soda, how can I adjust the recipe to suit them? as I would like to bake it again. Hi Jeya White or dark mud cake is liquid condition mix and really need bi carb soda to lift. Try SACHER TORTE rec and replace dark chocolate with white. I did not try that but it should work. I have to go to work now . I ll give you a recipe to night when I come home. Google it let me know. Dear Chef, thank you. I will most definitely put my hands to work on this recipe and let you know the outcome. thank you so much. Chef Yener, I would like to try your white chocolate mud cake. your recipe requires 3 times baking ie 3 pans.. is it possible for me to bake it in a pan? therefore increasing the baking time by 10 minutes. would this work? yes but I would still recommend low height quicker baking to have more moist 25mm height sponges that can be sandwiched with ganache. instead having high cake only masked with ganache. I don’t have silicon baking molds. Will metal baking pans work okay? Should I line with parchment? When I watch your tutorials it looks like you use cakes you have filled with ganache and frozen ahead of time. If so, how long can we safely freeze these delicious cakes? The demands for my cakes go from 5 or 6 per week to 20 – 30 two weeks later! having a great go to cake like this would certainly help balance our time! Every mud cake i freeze with good wraping after sandwiching with ganache roughly. keeping frozen 6 month no problem in good freezer (-18C). Freezing mud cake make them more moist . I was just about to try out this recipe as you suggested on a smaller scale to see what happens if I use all purpose flour + baking powder + baking soda (instead of the self raising) + corn starch (to imitate the cake flour) and then I realized that I didn’t know which kind of brown sugar to use. I have 2 options: a grainy light brown sugar or a sticky dark brown sugar. Which do you suggest that i use? Looking forward to your reply. This cake sounds delicious, but I always like to understand things before I try them. What is the reason for using both self rising flour and in addition cake flour + baking soda and baking powder? Wouldn’t a proportionately larger amount of cake flour + increased amounts of baking soda and baking powder achieve the same result? Looking forward to your reply. It is a good question. This mixture is a pudding like, airless, liquid saucy mix before bake. I need extra lifting power thats why for the additional aerators. For the additional cake flour I guess in the past I wasn’t happy with the texture that maybe too light to achieve nice and firm wedding cakes that can last in the room temperature long time. Maybe I just added some cake flour to achieve that. I don’t remember.Having said that I am happy now the way it is And if you ask me , can you take a way plain flour and replace with SRF ?Yes but I have to make couple of addjustments after every bake to increase the SRF and reduce aerators. My recipe I do is 90 kg at once I am not so sure that I will do that soon. Please try that your self with small recipes I am sure it is possible. Thank you Mr. Yener for your advice!. It worked well! Your white chocolate mud cake is delicious and it turns out perfect every time. I was wondering if it is possible to substitute the brown sugar for white sugar to obtain a lighter colored sponge. Will this affect the texture or taste in any way? I am fond of white chocolate mud cake with raspberries and the lighter sponge is more appealing to me. I wanted to ask before hand for time saving reasons. Thank you so much in advance. Hi, I did not try that , but I am quite sure it will work. I made both the dark and the white chocolate mud cake. The dark chocolate mud cake was perfect. However, i could not manage to get a nice small crumb on the white chocolate mud cake. Could this be due to the quality of the chocolate I was using? Would you have any tips on how to get the cake crumb small? thanks! This recipe does not have any downloadable content associated with it.